Baltimore Roofing, Windows & Siding Contractor - FREE Estimates! Windows, siding, and roofing are important components of your house. It protects you from rain, heat, and other harmful elements. A roof can make or break your home in terms of how it can stand the test of time. A window can might actually not distribute heat properly in your home, no matter how aesthetically pleasing it is or a siding might start to fall apart months after it was installed. There are also roofing and windows that can be considered health hazards. Knowing these parts’ capabilities as well as their characteristics are the first few things you need to research on before proceeding to the buying process. 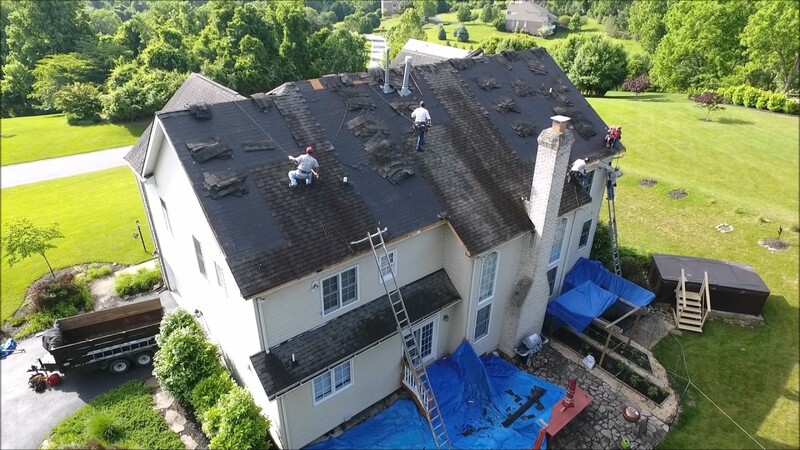 If you are looking for a roofing, siding or windows in Baltimore that can withstand the test of time, Raven Home Solutions is the best place to get one. This roofing contractor offers products that can increase your house’s value, coupled with environment-friendly features. We also offer windows to enhance your home’s appearance and safety. Besides being a company that offers roofing system, Raven Home Solutions is a window and siding supplier Baltimore. At Raven Home Solutions, we are not just roof or window sellers–we provide the right information to our clients in regards to our products and services. We want you to be aware of the products that you purchase from us, from materials to the repair or installation process. With our services, you will be able to get the right roof, siding or window for your home without problems. MEETING FUTURE ENERGY REQUIREMENTS, TODAY! We have a wide selection of siding options, as well as vinyl windows and roof guaranteed to complement any home. We provide quality materials and services to ensure that you get the best experience from us. You’ll save money in the long run once you invest in our window installation or roof replacement. A roofing company, window, and siding that live up to its promise, we are proud to be one of the most trusted home improvement companies to grace Maryland. Our knowledgeable and experienced siding contractors and roof specialists are ready to tackle any job from repair to installation. These professionals are always up for the challenge; they will provide you high-quality affordable services that you can only find in Baltimore. Our vinyl windows, roof, and siding offer numerous benefits that will keep your home safe including lower energy cost, improve drainage, and mitigate internal condensation. Raven Home Solutions has established itself as one of the most trusted names in exterior remodeling . Our clients can trust that not only are we using the highest quality materials, but also providing superior craftsmanship and customer service. The quality of our work and your experience is our top priority! We offer a no commitment, no strings attached, FREE estimate. Our primary goal is to exceed the expectations of our clients with services and products that fully live up to their claims. We want them to see where their money goes, all the while constantly educating them on what our services can do for their home and family. A house is a place where you and your family get to enjoy spending time together, so it’s essential that we ensure your welfare with our roof, window or siding that won’t endanger your health and livelihood. Raven Home Solutions has always got your back. Raven Home Solutions has established itself as one of the most trusted names in exterior remodeling in the state of Maryland. We hear it all the time; homeowners are baffled when it comes to their roof. At Raven, we do more than sell roofs, we provide homeowners with the information you need to make. I would like to thank you and your crew for the excellent job installing vinyl trim on our home. We were impressed with your initial presentation and selection of materials all the way through the team’s finishing touches on the the job. Our house has never looked better. I couldn’t be more pleased with the work you did in replacing the siding of my home. It looks great! The neighbors have even stopped by to comment. Your team was very professional and did a great job at making sure the area was left clean. I really appreciate the courteous and efficient manner in which the job was completed. My wife and I are very happy with the appearance of the new roof. I especially want to thank you for your professionalism and responsiveness to my questions. I would highly recommend your company to my friends and neighbors. When you are building or remodeling your home, there are many decisions to make. Thanks to new technologies that blend intelligent design.